Church leaders from around the world have drawn up a new set of the Ten Commandments aimed at delivering “God bloggers” from the temptations of the blogosphere. Alarmed by the extent to which religious blogs can descend into vitriol, senior evangelical clergy are calling on bloggers to obey the new commandments or risk perdition. 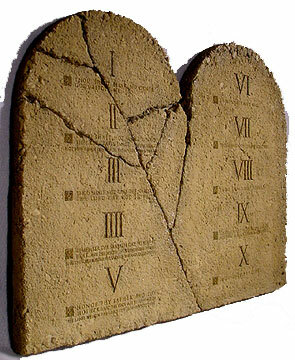 The commandments, based on the original ones delivered to Moses by God Himself at the top of Mount Sinai, were drawn up at a “Godblogs” conference in Kennington, southeast London. With no further ado, here they are. This story does has its humorous side but in all seriousness, thee are also good rules and morals to follow when running a Christian or religious-related blog. Thanks to Times Online for original story.